The world is witnessing a rapid development of new forms of mass communications. Undoubtedly, mass media, electronic media, audio-visual communications and multimedia have become widespread phenomena. Hence, the term “information and communications technology” (ICT) has achieved the status of a key concept in the modern world. Previous generations have transmitted the fundamentals of faith down to our generation by giving them a personal character. The system of faith transfer assumed constant external conditions and collaboration of educational environments, but when the relationship between religion and society changed fundamentally, the institution of education began to postulate different educational targets and the transfer was disturbed to such a degree that the process was referred to, in Europe, as “the crisis of a Christian tradition”. ELŻBIETA OSEWSKA, Associate Professor of Theology in the field of Catechetics and Family Studies. M.A. in Theology, S.T.L. in Pastoral Theology, Ph.D. in Theology in the field of Pastoral Theology at the Catholic University in Lublin (Dissertation: “Modern Family Catechesis. Pastoral and Catechetical Studies”), then the habilitation in Theology in Catechetics at Cardinal Stefan Wyszynski University in Warsaw (Dissertation: “Religious Education in Catholic Schools in England and Wales in the Light of Living and Sharing our Faith. A National Project of Catechesis and Religious Education”). 1990-1993 – Lecturer in catechetical centers in Belarus, Lithuania, Latvia. 1998-1999 – Head of the Department of Family Affairs in the Chancellery of the Prime Minister in Warsaw. Expert of the Polish Accreditation Committee (PKA). A member of the Society of the European Catechetical Equips, the European Society of Catholic Theology (president of Polish section); the European Forum for Religious Education, Polish Familiology Association (vice-president), Society of Professors and Lecturers in Catechetics. Organizer and participant of many conferences, symposiums and congresses in Poland and abroad. Co-author and editor of many RE textbooks. Her field of interests include pedagogy, religious education in Catholic schools, family catechesis, practical theology, didactics, family policy, communication and ICT. She has published a number of articles and books on related topics. OSEWSKA, Elżbieta. 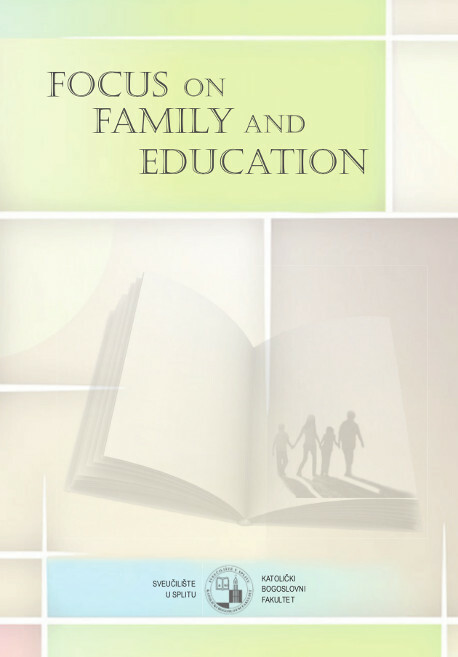 Education to Faith in the Family Community in Relation to the Contemporary Visual Culture. International scientific conference proceedings, [S.l. ], v. 1, n. 1, p. 175-188, june 2017. Available at: <http://ojs.kbf.unist.hr/index.php/proceedings/article/view/117>. Date accessed: 19 apr. 2019.